Not Wagner of course, but would there have been this opera without Wagner? Whatever the answer, Salome, is perhaps one of Strauss' greatest works - if not the greatest opera of the 20th century. This is not the opera of course, but the 1923 Silent movie of Wild's play. More interestingly, this uses a single set based on Aubrey Beardsley's illustrations for the published play. 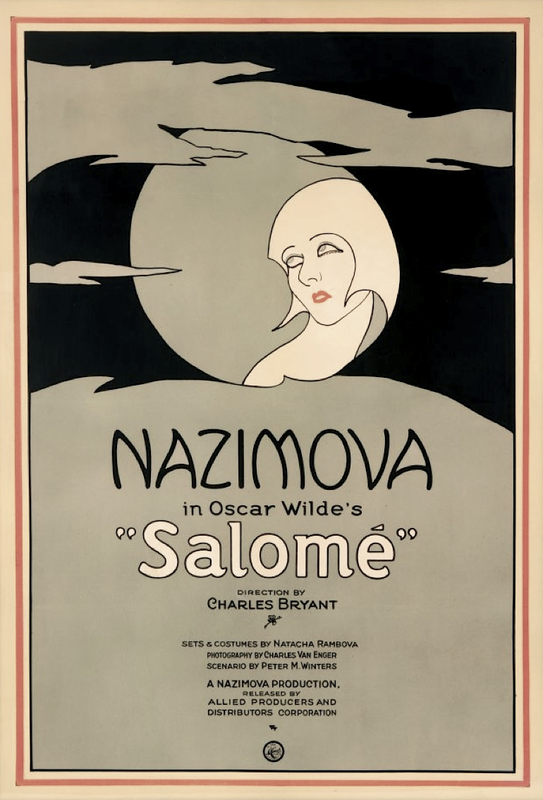 Salomé (1923), a silent film directed by Charles Bryant and starring Alla Nazimova, is a film adaptation of the Oscar Wilde play of the same name. Salomé is often called one of the first art films to be made in the U.S. The highly stylized costumes, exaggerated acting (even for the period), minimal sets, and absence of all but the most necessary props make for a screen image much more focused on atmosphere and on conveying a sense of the characters' individual heightened desires than on conventional plot development. Despite the film being only a little over an hour in length and having no real action to speak of, it cost over $350,000 to make. All the sets were constructed indoors to be able to have complete control over the lighting. The film was shot completely in black and white, matching the illustrations done by Aubrey Beardsley in the printed edition of Wilde's play. The costumes, designed by Natacha Rambova, used material only from Maison Lewis of Paris, such as the real silver lamé loincloths worn by the guards. Abstract: The essay deals with the relation of prominent Czech composer Antonín Dvořák (1841–1904) to the personality and work of Richard Wagner (1813–1883). 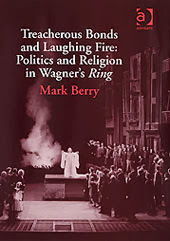 As opposed to the common opinions linking Dvořák’s name with Wagner‘s ideological opponents and placing his ‘Wagnerian’ period in the early phase of his career only, our examination shows that Dvořák’s interest in Wagner and his music was of deep and lasting nature and was significant for him throughout the whole of his life. opponents, was no exception in this regard. Music historians and journalists who have devoted detailed attention to Dvořák’s life have generally been in agreement in their view of his relation to Richard Wagner. 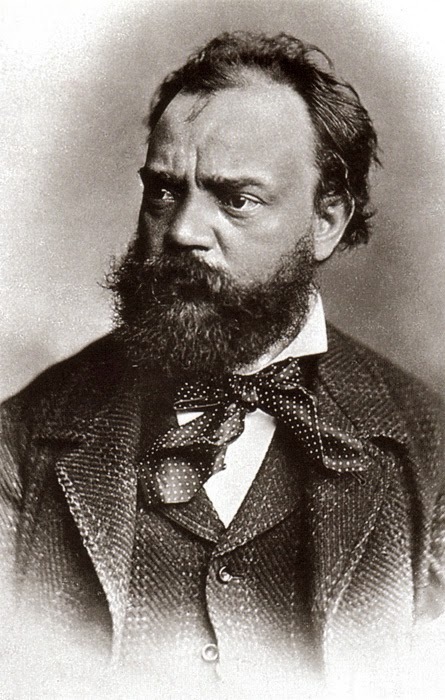 They all place Dvořák’s ‘Wagnerian’ (or ‘New German’) period in the early phase of his career, in the 1860s. They refer to a tendency toward expansion and loosening of form manifesting itself in his orchestral works from this period, i.e. in the first two symphonies and the A major cello concerto, and also point out what they take to be allusions to particular passages from Wagner’s music, not only in Dvořák’s operas Alfred (1870) and Král a uhlíř (King and Charcoal Burner, first setting, from 1871) but even in chamber works, namely the three string quartets without opus number in B flat major, D major, and E minor from 1868-70. Agreement prevails also in the notion that this ‘Wagnerian’ and ‘New German’ enchantment represents only a short episode in Dvořák’s stylistic development, which ended definitively in the early 1870s. Space does not allow a detailed analysis here, aimed at investigating the truth and justification of these interpretations. Instead I shall attempt to map and classify the available evidence as to when and where Dvořák may have encountered Wagner’s works, what music by Wagner he may have known, and what his opinion was on this music and its composer. of seeing the great little man’s face.’ In the same context he mentions Wagner’s significant influence on the harmony and orchestration of his opera Král a uhlíř (first setting, from 1871), which however he says he later destroyed. Prague given by Anton Apt, likewise in the 1850s, in particular a concert on February 27, 1858 that included a performance of Wagner’s cantata Das Liebesmahl der Apostel (The Love Feast of the Apostles) as well as a concert on March 12, 1859 featuring Hans von Bülow as both conductor and pianist which included the prelude to Tristan und Isolde. And at the centre of attention stand three Prague concerts on Žofín Island conducted by Wagner himself on February 8 and November 5 and 8, 1863, which included excerpts from operas not yet published or performed on stage at that time: Tristan und Isolde, Die Meistersinger von Nürnberg, Die Walküre, and Siegfried. interesting, analysis of Tannhäuser. With that in mind, we were more than pleased to find the following three part series of articles dedicated to this very work. Written by the Karl E. H. Seigfried from a presentation he gave recently on Tannhäuser at the Lyric Opera of Chicago and the Wagner Society of America. We present just a brief snippet form part one below. However, the entire three part article can be read in its entirety over at the author website by following thee links below. "Wagnerians know Frigg as Fricka, the consort of Wotan. However, the attributes of Venus line up more clearly with the goddess Freya than they do with Frigg. Since at least the early 1900s, scholars have argued for an original identity for Frigg and Freya that – at some unknown point – split a complex female goddess into a mother figure and a maiden figure, into a goddess whose domain includes marriage and another associated with sexual love." "To the medieval mind, Tannhäuser’s mortal sin was not breaking the bonds of chastity, which would have been forgivable through penitence. His true transgression is that of apostasy – of defecting from Christianity back to heathenry"
"When Wagner gives Venus the words “Fly hence to frigid men, before whose timid, cheerless fancy we gods of delight have escaped deep into the warm womb of earth,” he is tapping into the folk traditions mentioned earlier. Venus – like the other holdovers from the heathen age – has fled from the encroachment of Christianity and sought refuge in the hidden places of the world"
The Lyric Opera of Chicago is currently presenting a production of the opera that runs February 9 through March 15. If you can’t make it to Chicago but would like to hear the music, I recommend the 1971 recording by Georg Solti with the Vienna Philharmonic. The final installment of this series at The Norse Mythology Blog will include a bibliography of sources used – a list which can also serve as a guide for further reading.